Discussion in 'Texans Talk' started by CloakNNNdagger, Feb 5, 2019. That included hiring Carl Smith as quarterbacks coach. He replaces Sean Ryan, who now coaches the Detroit Lions' quarterbacks. Smith was previously the Seattle Seahawks quarterbacks coach, working with Pro Bowl quarterback Russell Wilson. He is the father of Tracy Smith, the Texans' assistant special teams coordinator. The Texans promoted offensive assistant Will Lawing to tight ends coach. Former Texans quarterback T.J. Yates has been named an offensive assistant as well as John Ayward. Former Texans inside linebacker Akeem Dent has been hired as a defensive assistant. The Texans hired Mike Eubanks as strength and conditioning coach and named former Texans Pro Bowl linebacker Brian Cushing as assistant strength and conditioning coach along with Joe Distor and Jason George. The Texans hired former New York Jets executive Clay Hampton as director of football operations, shifting Doug West to assistant to the head coach. Retired Pro Bowl wide receiver Wes Welker, who interviewed with the 49ers and Packers is no longer listed on the Texans' coaching staff. Carl Smith has been with Pete Carol forever..........he developed Drew Bledsoe............and made Wilson who he is today. Our new head strength and conditioning coach has been 2nd in command from our previous Denver coach forever. Welker is now 49ers WR coach. Texas Jake, OptimisticTexan, CWTexansFan and 3 others like this. I don't know why, but for some reason I like having Yates on the coaching staff. Now if they really want to impress me bring on Arian Foster so he can teach every one how to properly bow after a TD. Malloy and CWTexansFan like this. I'm laughing, but inside I'm crying. ATXtexanfan and CWTexansFan like this. Carl Smith worked with Russell Wilson to learn how to stay in the pocket and maintain his accuracy. The problem is that a lot of so-called dual threats coming into the League like Wilson and Watson, don't develop as passers, and eventually end up not really being a "dual" threat at all because they become too predictable. A lot of the time they can supposedly pass and run.............but can really only run once opposing coaches get the film on them. 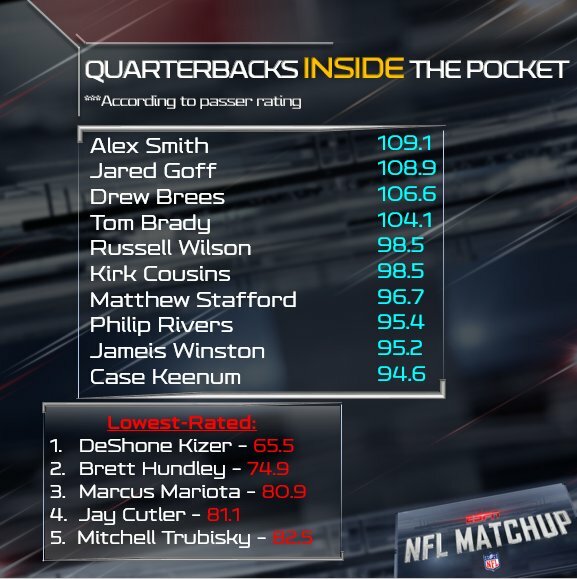 If Watson is willing and capable, Smith will get him to play from the pocket, except only when there is significant advantage to leave it..........and that will be a noteworthy positive. FuzzyLogic, Texas Jake, CWTexansFan and 2 others like this. A great in-depth review of the makeup and background of our new coaching staff. Aaron Wilson , Houston Chronicle Feb. 5, 2019 Updated: Feb. 5, 2019 7:08 p.m.
Well, O’Brien himself has stated that Watson is open and willing to be taught. I see Carl Smith being a huge positive! I like the Carl Smith hire, people have been comparing Watson to Wilson since game one so why not get the coach that made Wilson what he is. Plus I think Watson has a higher ceiling than Wilson so I think this will be a good match. FuzzyLogic, Texas Jake, steelbtexan and 3 others like this. What to make? Hmm, what do all these new hires have in common? NONE are a threat to replace OB? That’s all I got. ObsiWan, CWTexansFan, santo and 1 other person like this. That statement doesn't make any sense. Nobody they hired at all would be a "threat to replace OB" anyway. Unless a team does a mid-season change, which I always find to be a huge gamble, they usually go outside of house when replacing a HC. Plus these are suppose to be specialty coaches not necessarily HC material anyway. Other than the OC hire, who I'm unsure of but willing to give a chance, all the rest have a good background for what they were hired for. I'm particularly excited about the Carl Smith hire and hope he can do for Watson what he did for Wilson. What if there is no pocket? NastyNate and ObsiWan like this. Smith can try to help Watson learn to effectively recognize potential breakdowns quickly (improve reading defenses, calling protections and recognizing blitzes).........and learn to immediately react to the potential breakdowns with the least potentially damaging option. #Texans also hired Joe Distor as an assistant strength and conditioning coach. He was with the #Bears last season. The Smith hire was a really good one. Tim Kelly could benefit from having him on his offensive staff and he could learn a great deal very quickly. Adding Yates and Dent to the coaching staff could be good too. This staff (except Devlin) looks very promising. Even Devlin might be better with Smith coming on board. Still would have liked to see Devlin gone and a better line coach brought in. The Smith hire was a really good one. Tim Kelly could benefit from having him on his offensive staff and he could learn a great deal very quickly. Adding Yates and Hunt to the coaching staff could be good too. This staff (except Devlin) looks very promising. Even Devlin might be better with Smith coming on board. Still would have liked to see Devlin gone and a better line coach brought in. I meant Dent. My spell check changed it. I corrected it after I saw the mistake. He was a linebacker for the Texans. He's a very smart guy and should make a good coach.